I saw this sign at Aviator Sports Complex out by Floyd Bennet Field, Brooklyn. 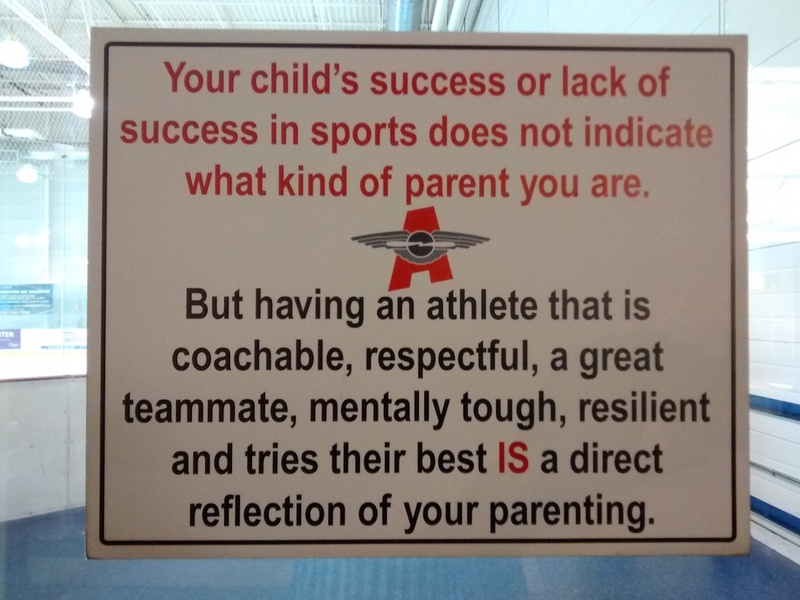 Your child’s success or lack of success in sports does not indicate what kind of parent you are. But having an athlete that is coachable, respectful, a great teammate, mentally tough, resilient and tries their best IS a direct reflection of your parenting.